Contemplating a new release, I wondered if there may be some song seeds in my ‘audio journal’ of snippets. Always endeavoring to keep creative juices flowing, I have amassed an enormous library of musical ideas created spontaneously during rehearsals and sessions. To record an album (before I owned a looper) I’d use a handheld audio or video recorder to capture spur of the moment ideas. Later, I’d sift through them, looking for pieces that spoke to me most to take through development – first musically developing them on guitar, then lyrically; finding phonetics, then matching those sounds with words and concepts. The goal is to make demo guides for future conventional recording sessions. It can be a tenuous, time-hogging, expensive endeavor. More recently, instead of my former way of capturing inspirations, I’ve been using a looping pedal, the DigiTech JamMan Solo. It’s like a foot-controlled recorder; you record yourself playing, and then it repeats that phrase while you add layers of accompaniment on top of it – storing each variation as uncompressed wave files in memory spaces on an SD card. I use this pedal extensively in my live shows, rehearsals and jams. Once it is full, I transfer those files to my computer so I can again fill it up with ideas. It has become my song notebook. I realized I had over 2500 snippets. I was surprised that the sound quality was good and that my musical execution of various parts were acceptable to me as ‘final cuts’ – at least in the spirit of being improvised spontaneously. I did not practice or pre-write anything, it was all written and recorded on-the-fly. I set about stitching and massaging a few of these ‘loops’ using SoundForge software, then stem mixed the music and loaded it onto my DigiTech GNX4 workstation to write lyrics and record lead vocals. In all my other releases, songs were honed and rehearsed, solos and lyrics and accompanying instrumentation were all developed over time and with lots of rehearsing before going to the studio to record. But this release is just the opposite – improvised, on the spot, no do-overs, no punch-ins – just my inner voice saying “wow, this is a cool riff, I wonder what I can put with this” – and then getting lost adding, subtracting, layering and experimenting and fast filling up those memory ‘slots’on the JamMan. I could say these songs are ‘accidental’, but I see all of my art as discoveries. I rarely ‘intend’ anything. My ‘artisan discipline’ is to grab the tools (guitar, paintbrush, pen, mouse, etc.) and let it come out of me – restricted by neither conscious effort nor aim for predicted result. I also approach the creation of lyrics and vocal melody with this ‘hands-off’ approach. I first sing along to my song, not using words, just sounds and phonetics. Looking for vowels and unique syllable potentials, I record these mumblings onto one track and then study them for actual words that match. After finding those matches, I have a skeletal framework for what the message and balance of lyrics will elude to. Whether I’m able to arrive at coherent or relevant musical/lyrical results is a risk I enjoy, especially in contrast to contrived process of theming intentionally. I was really just noodling between songs in rehearsal when these nuggets presented themselves. No sophisticated equipment, just ‘one takes’ on a mono pedal recorder, stacked and layered in various combinations. I was ready to release this as an instrumental CD but my mom wanted to “hear me sing more” – and a few others who heard the first mixes confirmed mom’s advice. I am glad I listened to the counsel of my mentors – this was fun to write. And for the gearheads (like me): At the time of this recording, I used one JamMan Solo pedal connected (fed) by the FX send of my mixer so that all channels going thru the mixer (voice, guitar, drums) could be sent to the looper and brought back into the sound system through a discreet channel on the board. I played my 1980’s Ovation Balladeer and Yamaha APX500II thru a 1980’s Boss GT3 multi-effects board. I also used a Tyler Mountain Ovation-style electric mandolin. I sang backing vocals and most chorus/looped lines thru an ATM73a Audio-Technica headset mic, the lead vocals were sung using the Shure SM57 (that I’ve had since high school) into the GNX4 – my mikes are routed thru a DigiTech Vocalist Live Pro harmonizer/effects unit. My mixer is a Yamaha MG82cx and my drums/percussion are played on a Yamaha DD-55 electronic kit. No drum machines, sequencers or synthesizers are used on this recording except for the use of my Godin Freeway SA synth guitar thru a Roland GR-20 for some additional sounds on ‘Jorie Green Thumb’. [T. Roosevelt] – in other words, act now – in word, deed, art, sight, sound or voice – the how is our choice. Rejyna will be touring to promote this album and the release of her DVD from the 2013 Looptober Tour. Follow Rejyna on Facebook, ReverbNation, ArtistData, Twitter, YouTube, SoundCloud and more. Did you know that Looptober is the month that follows Stomptember? How does the member of a progressive metal/folk rock band migrate to the world of solo live looping? “Accidentally…“ Following gentle urging from family and eclectic venue owners, Rejyna has re-discovered her solo-performing persona through the i/o of a looper, effects and a vocal harmonizer. Resisting her apprehension about fitting in, Rejyna accepted. “I told myself, they wouldn’t have invited me if they didn’t think my style would fit – so, I accepted invitations to live looping events in Portland, Seattle, Danville and Santa Cruz. I hope they like what I’m planning to exhibit… I’m calling this my ‘Looptober’ tour” and while my main goal is to share my songs, my guilty pleasure in all of this is that I will get to be inspired by the best-of-the-best in the looping community. I am certain that the music I release in the future will benefit immensely from the things I witness from the other artists on this mini-tour. If you are familiar with the style of music that Citadel puts out, you’ll be surprised to hear how Rejyna takes those songs into the solo realm. Her set features a few Citadel songs re-done looper-style mixed in with her new compositions. She will be promoting her CD Solo Sojourn Live and is planning to release a DVD/Blu-Ray disc of the Looptober tour in December. Maybe one of the next blog entries will give us a clue as to how all this solo indulgence has affected the upcoming Citadel CD…ahem?!? After a long process of choosing songs, tracking basics, and fine tuning lyrics, the in-progress Citadel CD is well underway to the next stage of tedious, laborious overdubbing. Following the anti-genre style of previous releases, the as-yet-untitled upcoming Citadel CD will deliver a strong mix of folk, rock, prog & symphonic with metal, classical and jazz undercurrents. In case you hadn’t heard the new Citadel iPhone application is your way to experience Citadel full on. New songs, photos, videos, puzzles…the Citadel iPhone app is just what you need! …and it’s only 99 cents – woo hoo! Citadel ® iPhone Music, Videos, Photos & more! Get it by clicking here while it’s .99! The Citadel iPhone Application is brought to you by Citadel and iLike. Visit http://www.ilike.com/artist/citadel for more of what You want in online entertainment! Visit http://www.citadelsongs.com, http://www.citadelmusic.org, or http://www.citadelband.com, for more pathways into the Citadel ® Galactic Expanse! Stay posted to your trusted Citadel ® source (ilike, cdbaby, itunes, facebook, etc…) because the newest CD is on it’s way – follow the progress by following us on Twitter – we’re ‘citadelband’ and we’re ready to unleash the amazing midi guitar on your ears…are you ready? Clicking the image will take you to the link, but it won’t be active until CDBaby uploads the content (approx. May 15th) – come back then too! This I’ve seen, & shall see again, unless the faults of mankind are erased! Away from the Dungeons (of War) where the fire falls like rain! And how many lives are spent in a mask of flaming pain? 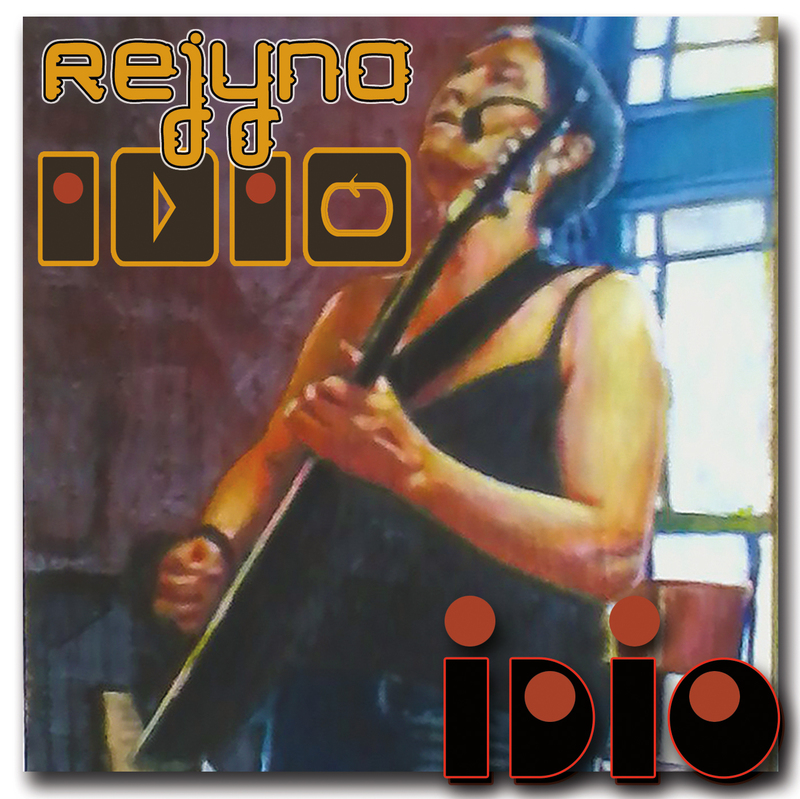 is a registered tradename – on iTunes, CDBaby, etc – All rights reserved. From the CD “The Citadel of Cynosure and Other Tales” this shows the symphonic and progressive rock side of CITADEL® in a music piece that takes a listener on a journey of sounds to the land of Lothlorien — inspired by the Lord of The Rings.